One of the hallmarks of Steampunk design is ‘busy‘. Design overlaps design, and there’s almost more detail than the eye can make out. I decided I needed to come up with some designs that could fade into the background while still being busy, but could also be adjusted to be part of the decoration. There have been several variations of Background #1 posted, so I’m calling it a tangleation of the official tangle Florz, even though it goes quite a bit beyond that. I don’t recall seeing Background #2, but it’s a simple idea so someone has probably thought of it, too, lol! Letraset Promarkers, Micron Pigma, Kuretake No. 8 Fountain Hair Pen done up in a Rhodia dotPad. I was playing with my new fountain pens for this second pattern–a Lamy Safari and a Noodler’s Flex pen. The inks are Black Swan in Australian Roses and Twilight. Done up in a Rhodia dotPad. 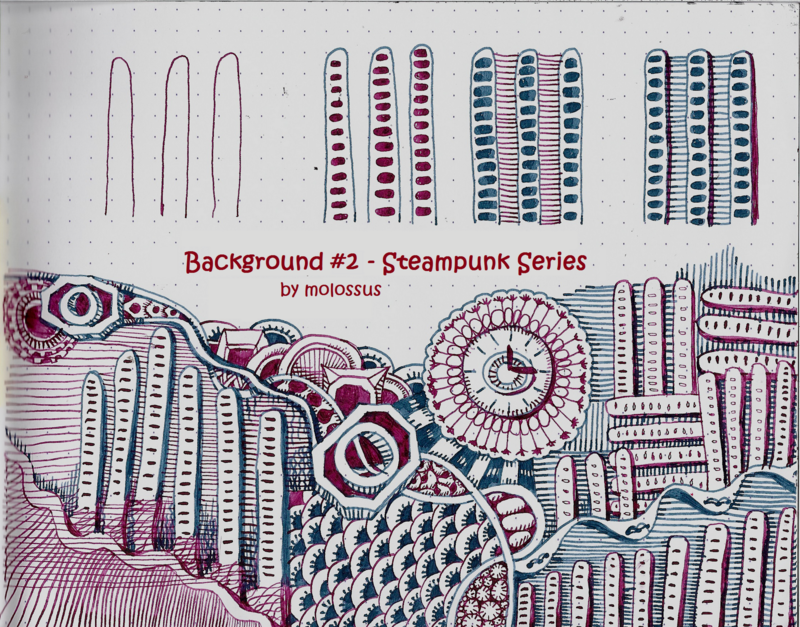 I love the way you did these Steampunk “tanglations”. 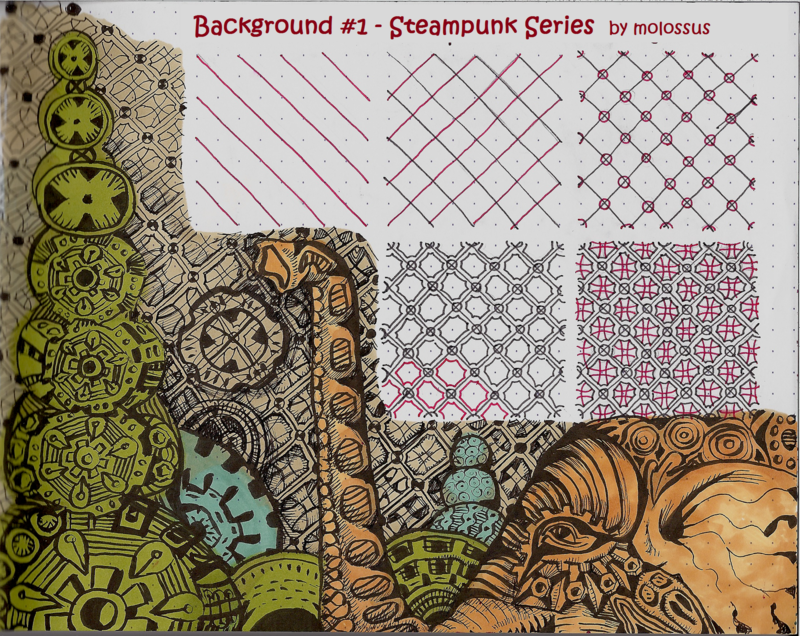 I was having trouble thinking how to include your Steampunk ideas into “regular” tangles. Now, this gives me the inspiration to jump in and try some myself. Thanks so much for sharing your talent! Thank you for using your gift to inspire me and others! !